Know more and more about the health benefits of one of nature's finest medicines e.g., Wheatgrass, from the book, Wheatgrass - Nature's Finest Medicine. 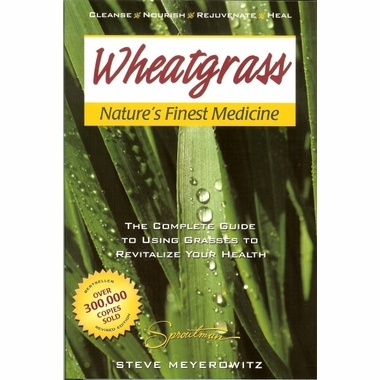 The book has answers to almost every question about the Wheatgrass. This complete encyclopedia will enlighten you by giving useful information about Wheatgrass� nutrition content, healing benefits, detoxification and other significant facts and history. The book is also included with the real experiences of some real people.